Roy the Raptor Shares his Prehistoric Story | The Gettysburgian. Gettysburg College students have been thoroughly perplexed (and entertained) since the beginning of spring semester by the emergence of a new campus celebrity, Roy the Raptor. 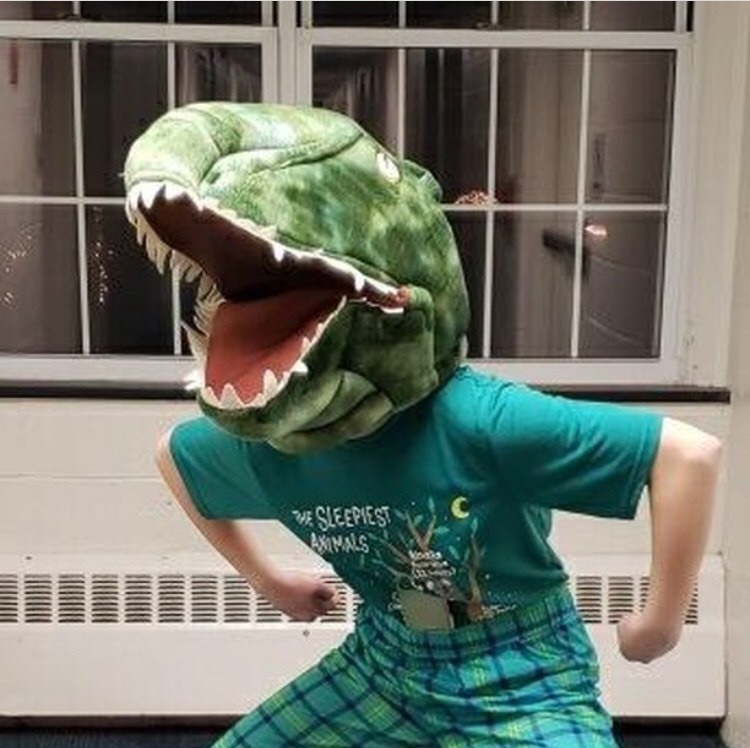 With his first Instagram and Twitter posts going up on January 24, this Gettysburg student documents the daily experiences and thoughts of a simple, college student dinosaur. After being spotted around campus by many students throughout the course of the last week, Gettysburg College is starting to ask: Who is Roy the Raptor? Roy the Raptor has been posting fairly consistently on both Instagram (@the_gettysburg_raptor) and Twitter (@RoytheRaptor1). Though we may never know the true identity of the person behind the mask, Roy the Raptor has certainly caught the attention of Gettysburg campus.